So it's been a while since NT has done anything...a long while. GOOD NEWS....that's about to change. 2010 marks the 10 year anniversary of our first full-length CD TrashcanSuperhero. In celebration of this, we are Re-Mastering the CD (making it bigger, brighter, better sounding) and performing a live show on July 17th 2010. 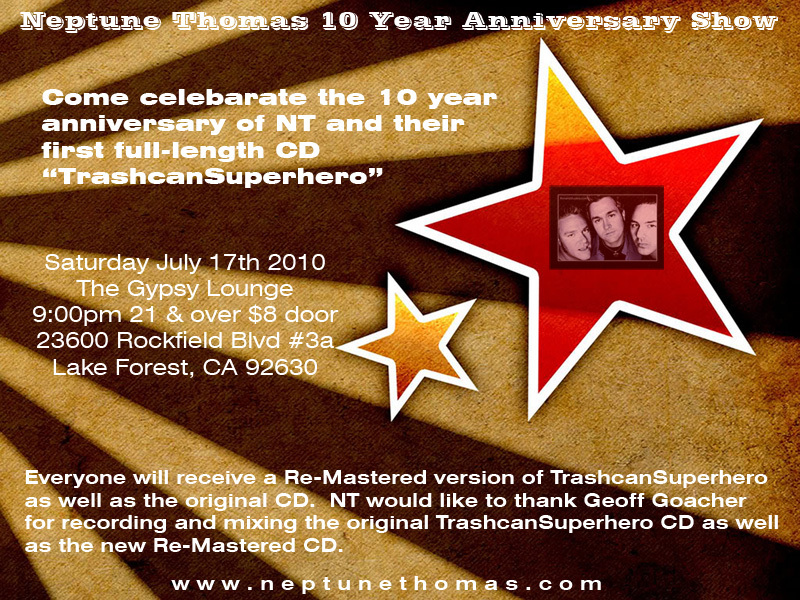 We will be giving away the original version of TrashcanSuperhero, as well as the Re-Mastered version at the show. The Re-Mastered version will also include a previoulsy unreleased track from the original recordings. We are very excited about the Re-Mastered CD and playing our first live show in over 5 years. We hope you can join us on the 17th at our favorite dive bar The Gypsy Lounge in Lake Forest, Ca. 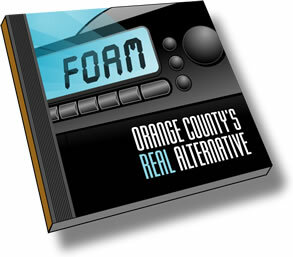 Check out the new compilation from the guys at F.O.A.M., featuring 14 different Orange County artists. Click on the graphic below to sample songs and buy the Cd. Sign up for the NT eNewsletter.